West Point Society of Hawaii Kukui Nut Lei. 40 inches around. 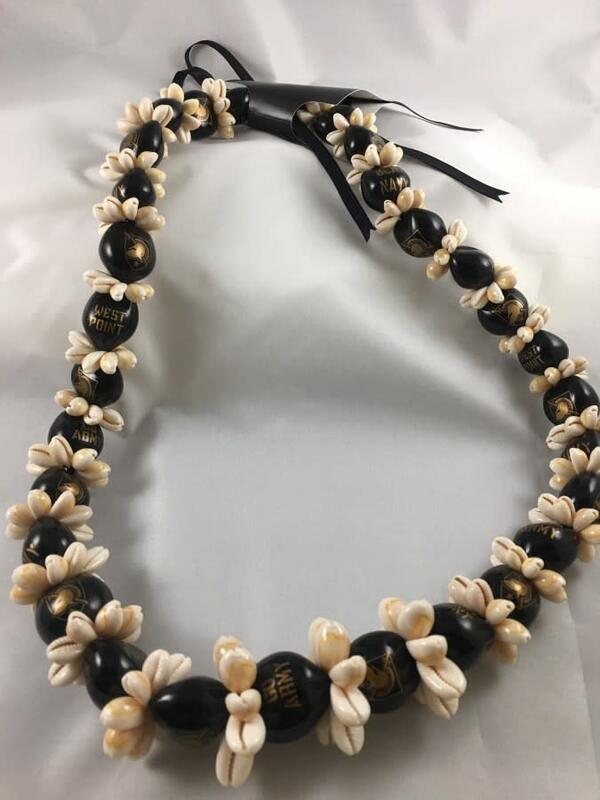 It has "Go Army" , "Beat Navy", "West Point" and the West Point symbol painted on the kukui nuts with tiny conch shells between each Kukui nut. The Kukui nut is harvested fro the state tree of Hawaii. The nuts are hollowed, dried, polished, painted and strung together in a tradition as old as the islands themselves. Once worn by the reigning chiefs and kings of Polynesia, these Kukui Nut Accessories are now worn by all as a symbol of Good Luck.